Here at CNC we want to ensure that all of our customers receive the highest quality supplies and tools, which is why we have partnered with Milwaukee Power Tools to ensure that you have access to the best on the market. 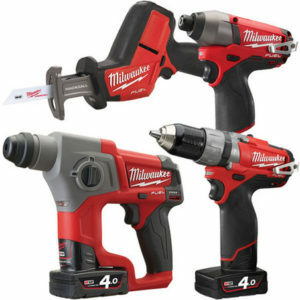 As an industry leading manufacturer, Milwaukee understands the needs of those in the trade and has created a wide range of tools to ensure those needs are fulfilled. Since its founding in 1924 the company has dedicated itself to innovation, fuelled by passion for the industry. Having served the American public so well for many years, their unique brand of tools are now available in the UK via the team at CNC.